Pope Clement IV (Latin: Clemens IV; 23 November 1190 x 1200 – 29 November 1268), born Gui Foucois (Latin: Guido Falcodius; French: Guy de Foulques or Guy Foulques) and also known as Guy le Gros (French for "Guy the Fat"; Italian: Guido il Grosso), was bishop of Le Puy (1257–1260), archbishop of Narbonne (1259–1261), cardinal of Sabina (1261–1265), and Pope from 5 February 1265 until his death. His election as pope occurred at a conclave held at Perugia that lasted four months while cardinals argued over whether to call in Charles of Anjou, the youngest brother of Louis IX of France, to carry on the papal war against the Hohenstaufens. He was a vital patron of Thomas Aquinas and of Roger Bacon, prompting the latter to write his Opus Majus, which included important treatises on optics and the scientific method. 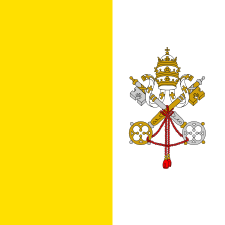 In this period, the Holy See was engaged in a conflict with Manfred of Sicily, the illegitimate son and designated heir of Holy Roman Emperor Frederick II of Hohenstaufen, but whom papal loyalists, the Guelfs, called "the usurper of Naples". Clement IV, who was in France at the time of his election, was compelled to enter Italy in disguise. He immediately took steps to ally himself with Charles of Anjou, his erstwhile patron's brother and the impecunious French claimant to the Neapolitan throne. Charles was willing to recognize the Pope as his feudal overlord (a bone of contention with the Hohenstaufens) and was crowned by cardinals in Rome, where Clement IV, permanently established at Viterbo, dared not venture, since the anti-papal Ghibelline party was so firmly in control there. Then, fortified with papal money and supplies, Charles marched into Naples. Having defeated and slain Manfred in the great Battle of Benevento, Charles established himself firmly in the kingdom of Sicily at the conclusive Battle of Tagliacozzo, in which Conradin, the last of the house of Hohenstaufen, was taken prisoner. Clement IV is said to have disapproved of the cruelties committed by his protégé, but there seems no foundation for the statement by Gregorovius that Clement IV became an accomplice by refusing to intercede for the unfortunate Conradin whom Charles had beheaded in the marketplace of Naples. In 1264, Clement IV renewed the prohibition of the Talmud promulgated by Gregory IX, who had it publicly burnt in France and in Italy. Clement, though he did not assign to the stake those who harboured copies of it, and, responding to a denunciation of the Talmud by Pablo Christiani, assigned a Talmud censorship committee and ordered that the Jews of Aragon submit their books to Dominican censors for expurgation. ↑ "Clemens ⟨Papa, IV.⟩", Personal Names of the Middle Ages, p. 129 . ↑ Richard P. McBrien, Lives of the Popes, (HarperCollins, 2000), 218. ↑ Richard P. McBrien, 218. ↑ As reported, for example in Arsene Damestetter, The Talmud, 1897:94..
↑ Shlomo Simonsohn, The Apostolic See and the Jews (Pontifical Institute of Mediaeval Studies) 1991:311. ↑ Popper, William (1889). The Censorship of Hebrew Books. Knickerbocker Press. pp. 13–14. .